Why am I so interested in Vanguards? 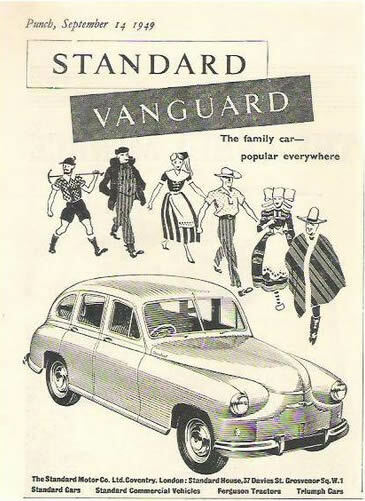 My first Vanguard (back in the mid-60s) was a deep blue a 1951 model, a great re-spray job if I do say so myself. As an apprentice I did not have a lot of money to maintain the vehicle, so I bought another Vanguard from the local wreckers and towed it home and used it for spares when needed. After towing it home, I placed it (unknowingly) over the septic pit in my parent's back yard at Cronulla. It was a great source of spares; however I did not notice that it was slowly sinking into the septic pit. I was given strict orders by my father to get the bloody thing out of the place. So my friend who owned a ABLE Mk1 electric welder, and myself, armed with a couple of sets of cutting rods dispatched the poor old thing in one day and took it to the tip (keeping some important parts of course). 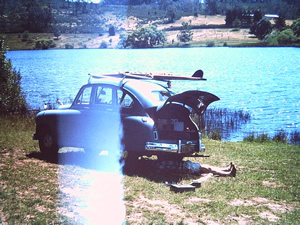 The car performed well and provided a great source of transport for work and also for holidays, especially to Orange and Lake Canobolas chasing the ducks with the 10 foot plywood surfboard that was nearly always strapped on the roof racks. 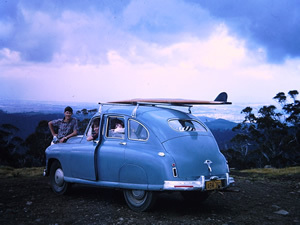 Another memorable trip was to the Budawang Ranges (now Morton National Park) out from Nowra NSW on the Nerriga Road. Two of us made this trip heading off late one evening leaving Cronulla and travelling South down the Princes Highway. We were approaching Helensburgh when the brakes gave out. After stopping using the hand brake, we diagnosed the problem as the master cylinder failure. We pulled into the NRMA service centre at Helensburgh (which was closed of course) and proceeded to knock on the door. After some loud knocking we managed to rouse the proprietor, who was not very happy with us, as well as being as full as a boot. I explained our dilemma to the proprietor, who was really not interested, and we were told in no uncertain terms to get the *&#$ out of here and come back tomorrow. Well my friend (a delightful gentleman), who will remain nameless, and never short of words, gave this poor proprietor a mouth full. This now saw us both running down the road followed closely by a very drunk NRMA representative dressed only in shorts and a singlet. He soon succumbed to the liquor, with his intentions to beat the living crap out of both of us failing as he fell flat in the dirt at the side of the road. We ran to the car and decided to head off without brakes, my friend drove using gears and the hand brake and did a magnificent job descending Mt. Ousley, I think I had my eyes closed. 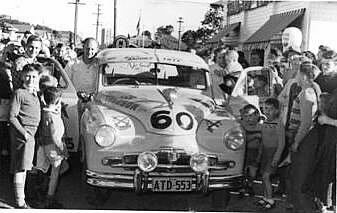 We finally reached Nowra, spent the rest of the night parked out by HMAS Albatross and went into Nowra next day and picked up a master cylinder repair kit and brake fluid. We drove out to the Budawang Ranges turning off on the Yarramunmun fire trail where we carried out the master cylinder repairs. Another trip, with this same friend, was again down the south coast. I can't remember where we were off to, but I do remember it was night time. I was driving, with my friend as passenger. While descending a steep hill, and so as not to career into the back of a slow vehicle in front of me, I commenced to overtake this vehicle (broken lines available of course). Well this other vehicle decided it was not appropriate to have an old Vanguard overtake, so it sped up, requiring my immediate response to push the pedal to the floor. We successfully got past this vehicle and returned to the correct side of the road. A short time after, I heard a loud rumbling and a saw bright light beside me, it was a motorcycle cop, urging me to pull over to the side of the road and stop, which I did. I exited the Vanguard, with my friend (who will remain nameless, and never short of words) and walked over to the policeman to discover the problem. I was told that I cut at least 20 foot off the double yellow lines after overtaking the vehicle, as I was about to explain to the policeman that I found it necessary to accelerate to overtake this vehicle, my friend offered to "sew the 20 feet back on". This did not go down well, so rather than receiving a severe talking too, I was booked, thanks friend. There were many other trips in the Vanguard over the years, with the last one on my friend's (whose name will not be mentioned) 21st birthday, 6 December 1966. After spending an evening of frequenting several pubs we decided to head to Kings Cross for some fun. There were three of us in the car and I was driving; heading north on George Street Sydney and approaching Hay Street, I had the green light. A Holden then came out from my left, against the red light, and drove right in front of me, after seeing his error this driver then stopped and started to back up, meanwhile I was avoiding a collision by heading to the left and rear of this vehicle. 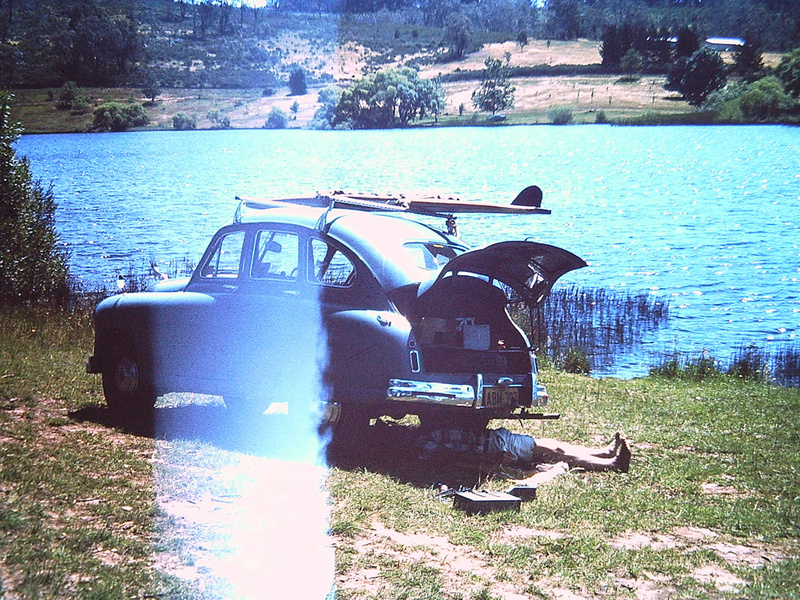 Bang, we hit the bugger, armed with my front shock absorber rebound rubbers mounted on the front bumper we speared into the other car amidships. 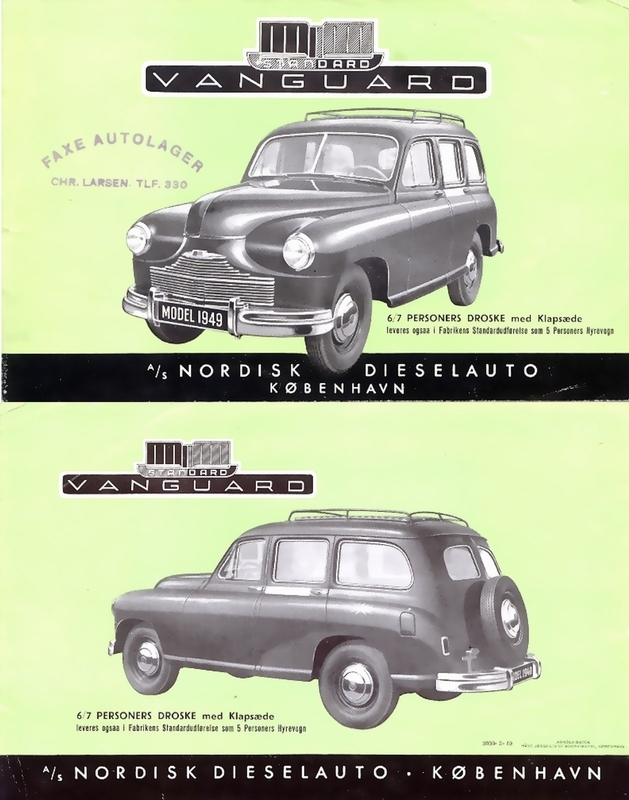 The rubbers dug into the other car as the Vanguard's nose headed for the tar. 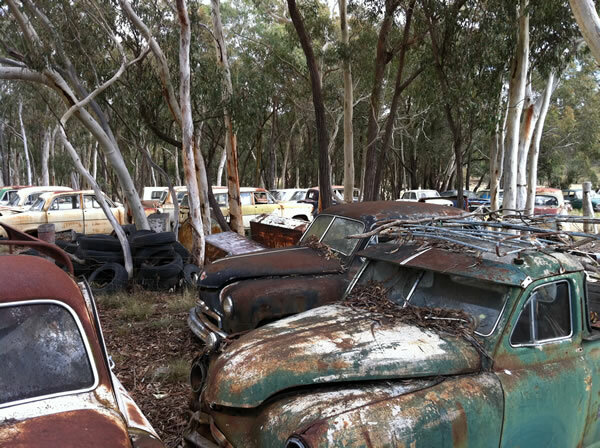 As the Vanguard settled back we flipped the Holden onto its roof. Well that was the end of the Vanguard, the front end damage was in excess of my financial capabilities, so I sold the wreck to the tow truck company and went out and bought my first motorbike, a Bridgestone 90, but that's altogether another story.